Tony spends most of the year in a forgotten corner of northwestern Spain and travels to southwest South Africa during the southern winter. 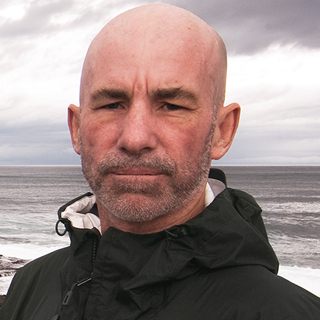 In an effort to convince people that the more we interfere with the coastline the more problems it will cause us, he has dedicated his life to writing and educating others about the coastal environment. For Tony, surfing isn’t a way to earn money or gain fame or to prove that he is better than anyone else is; it’s about being in the moment. “Being out in big surf is about being close to nature, not conquering it; it is about understanding nature and understanding yourself,” he says.